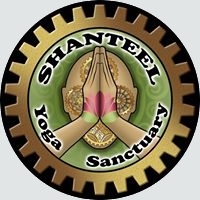 Shanteel Yoga Sanctuary is offering our 200 hour Registered Yoga Teacher Training (Yoga Alliance Certified) led by our team of Collaborative Master teachers Elle Kaplan, Christina Kaplan, Sally Delisle, Karin Eisen & Claudine Schuster. Together they will combine their expertise to create a one of a kind learning experience. Submerge yourself into an 8 month Yoga Teacher Training that engages and compliments your life’s journey. We will come together for class twelve weekends (Fri-Sun) over the course of eight months to live, learn, transform, and grow from a deeply rooted foundation in which will profoundly expand your knowledge of the wonders of Yoga. Throughout the training, you will have thorough support and guidance to assist the flow of your consistent education. We invite you to answer that calling within to take the big step you’ve been waiting for. Our course is created to be sustainable to the common working person, parent, student, caretaker, etc. It is time to dive in, go deep, and thrive in the practice that reflects your everyday life. I am learning so much about myself, my body, and yoga. It has brought more peace of mind, more compassion to myself and others. I never thought there would be so much to learn... from asanas, alignment, mindfulness, to anatomy, chakras, yamas and niyamas. I have been practicing for maybe eight years and wow there's so much I did not know. I have such an appreciation for all of you teachers and your uniqueness. It takes a very special, real and compassionate person to teach yoga (the true way). Even if I never teach, I know this is just what I needed to do. I am so thankful for my yoga sisters and for Elle, Christina, Karin, and all of the other guest teachers Elle has brought in to share with us"
"This has been such an amazing journey for me. It's been life changing & I am only half way through. This has changed the way I look at my practice, self & everything around me. Elle & Christina are wonderful & my yoga sisters are friends for life! We are in this journey together & have created such a bond ❤️"
Monthly Payment Plans available, must be paid in full by May 2019 and arranged through Shanteel Yoga Sanctuary.